Financing rounds are rarely a goal state (or at least they shouldn’t be) but an important milestone in allowing a company to continue to build out its mission. Marketplace: through Algorithmia.com, we have reached more than 45,000 developers and 3,500 algorithms, functions and models. 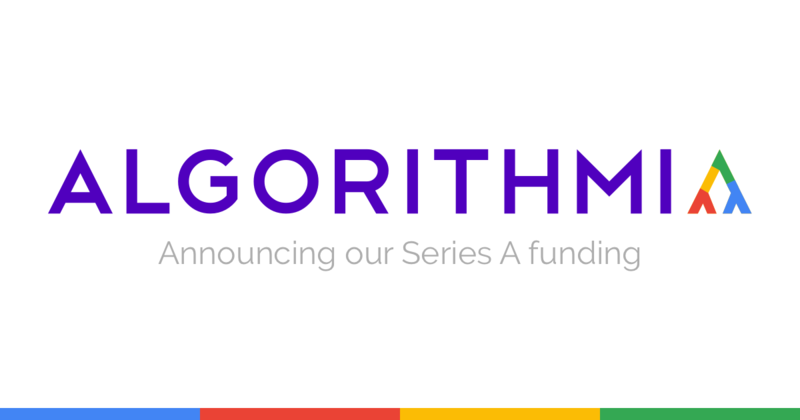 We are expanding our efforts in accumulating the best algorithmic knowledge out there, expanding our network of universities, and becoming the hub to discover and access the latest algorithms, functions, and microservices. CODEX: our private cloud algorithm-as-a-service solution has a growing customer base within Fortune 1000 and federal government, and we are excited to help them build up their algorithmic moat, help them discover and integrate their internal algorithms, functions and models and productionize at petascale. All of this while providing the necessary security and audit controls required by the most regulated industries. Our mission has been and remains to “make state of the art algorithms discoverable and accessible to everyone” and we are thrilled to see the excitement behind that goal. We also would like to take this time to thank every one of our users for checking us out, trusting us with your applications and allowing our company to reach today’s milestone. We know we would have never done it without you and for that, we remain eternally grateful. Our team is expanding – join us! check out our openings at algorithmia.com/jobs.